People living in one of the world's highest capital cities will experience the positive impact of creative collaboration this weekend as part of AkzoNobel's involvement in the Habitat III Conference on Housing and Sustainable Urban Development. Organized by the United Nations, the event is being staged in Quito, Ecuador. A major feature is the Habitat III Village, where AkzoNobel has worked with several partners to create a people-friendly route designed to improve the lives of local citizens. Known as the "Ruta de la Experiencia", it's made up of a series of physical, social, economic and cultural interventions that were developed together with various partners, the Quito municipality and residents to respond to local needs. These include introducing more green spaces, improving lighting and safety and adding more color. "We're committed to addressing the challenges of rapid urbanization by making urban areas more liveable and inspiring through our Human Cities initiative," explained AkzoNobel CEO Ton Büchner. "In order to make our contribution to the New Urban Agenda even more powerful, we want to work with like-minded partners so that we can pool our expertise and make a positive impact on the world. The Ruta is a great example of what we can achieve together." 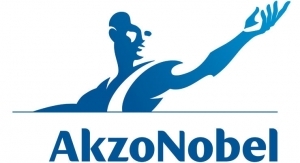 The Ruta project was developed following the extension of AkzoNobel's global Human Cities program. The company is in the process of setting up a public-private partnership - currently made up of 22 partners and 140 members. This Human Cities Coalition is focused on realizing Goal #11 of the UN's 17 Sustainable Development Goals: sustainable cities and communities. The partners will be working to make people's lives more liveable by improving urban environments, highlighted by the interventions that have been carried out in Quito. "Our work in Quito clearly demonstrates how creative partnerships can energize cities, make them safer, more colorful and leave a lasting legacy," said Annemieke Kievit, AkzoNobel's Director of Public Affairs and Policy. "We are actively listening to citizens so that we can make better informed decisions when it comes to addressing global issues and effectively balancing societal and business goals." The Ruta is one of the largest projects within the Habitat 3 Village - a unique space open to all where urban innovations and solutions are being showcased to reflect on urban planning, management and sustainable development. The official opening of the Ruta takes place on Sunday, while the Habitat III conference - which is held every 20 years - starts on Monday.